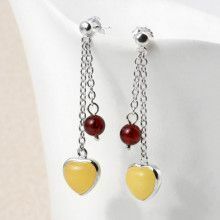 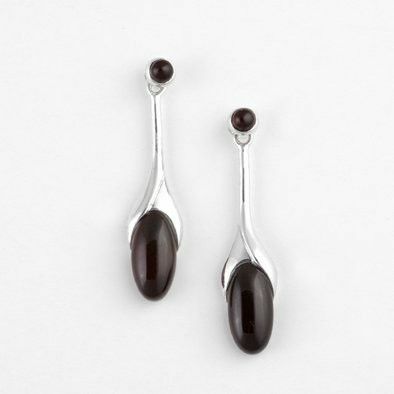 A long oval cherry amber stone set in .925 sterling silver, shaped like the flute of a lily, hangs from a post ornamented with a round matching stone. 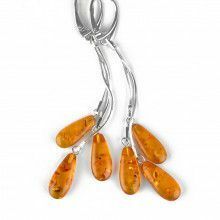 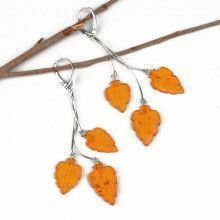 These amber earrings make a perfect gift for any occasion, or a great addition to your own personal jewelry box! 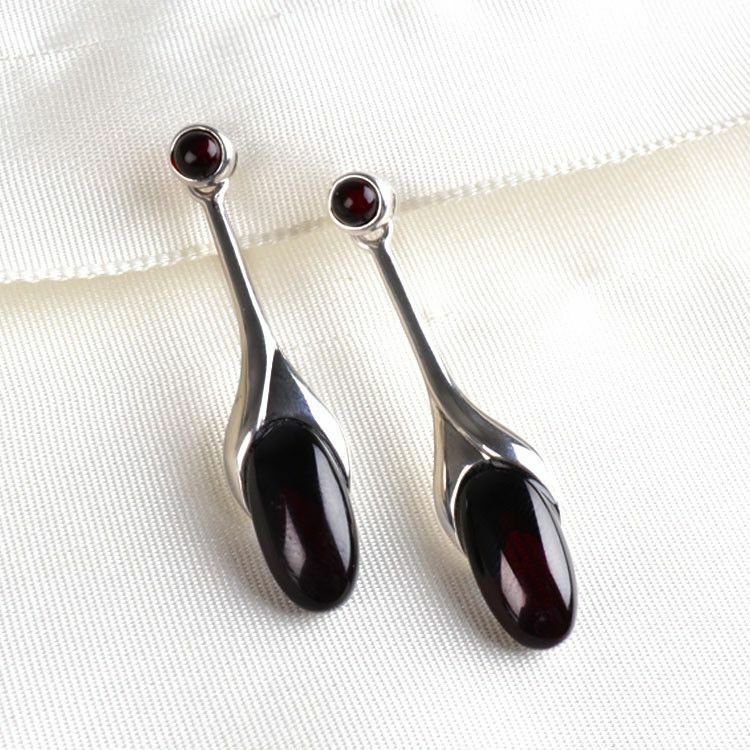 Earrings Measure about 1 3/4" x 3/8"